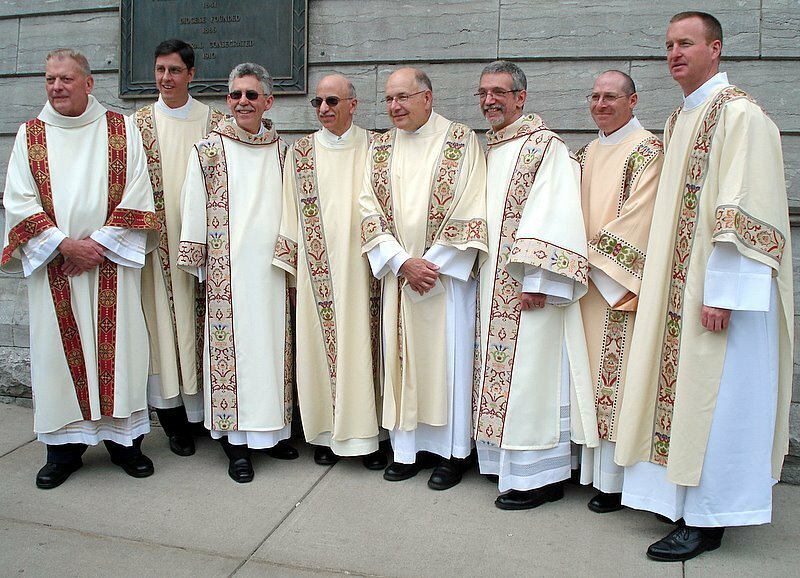 Yesterday’s May 17th anniversary of the Permanent Deacon Ordination of eight men in the Diocese of Syracuse passed in very different ways, I’m sure, for each of us. Still, we have all shared both a call to vocation and ministry that has inalterably changed our lives, our families, friends, co-workers… and yes, those to whom we minister in our parishes and local communities. 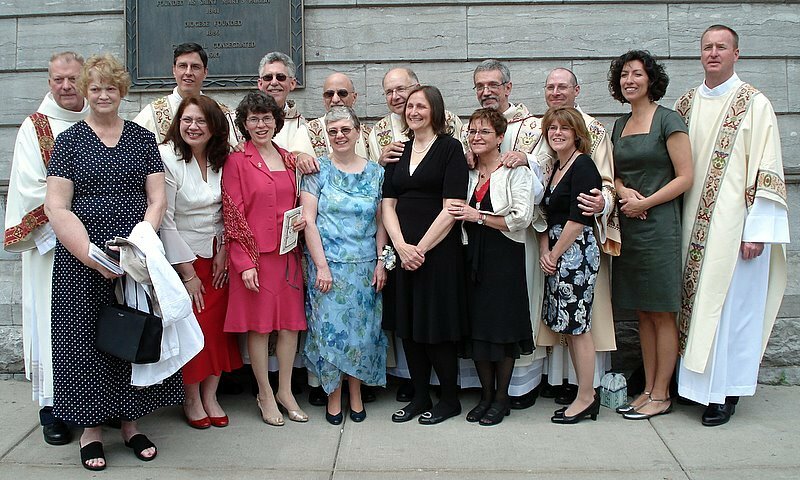 Perhaps the photo from the day that captures the essence of the Diaconate for me is not the one above, but instead this vibrant photo with our wives: true partners in a dual vocational call. In so many ways, our wives have supported us, given much of themselves to this ordained call, and helped us to understand how to live as “men of the cloth” and “of the pews”. I hadn’t intended to post anything as this first anniversary passed us by, but the Ordo today on May 18th truly hit a responsive chord: this is the 5th Anniversary of the Episcopal Ordination and Installation of Diocesan Bishop Robert J. Cunningham, our Bishop Designate. Certainly for him as well, these days in May must hold a special meaning, as he approaches his Installation next Tuesday, May 26th, 2009 as the Bishop of our Diocese of Syracuse. A special “thank you” to all who remembered the anniversary this past week. Your thoughtfulness and caring makes a world of difference.